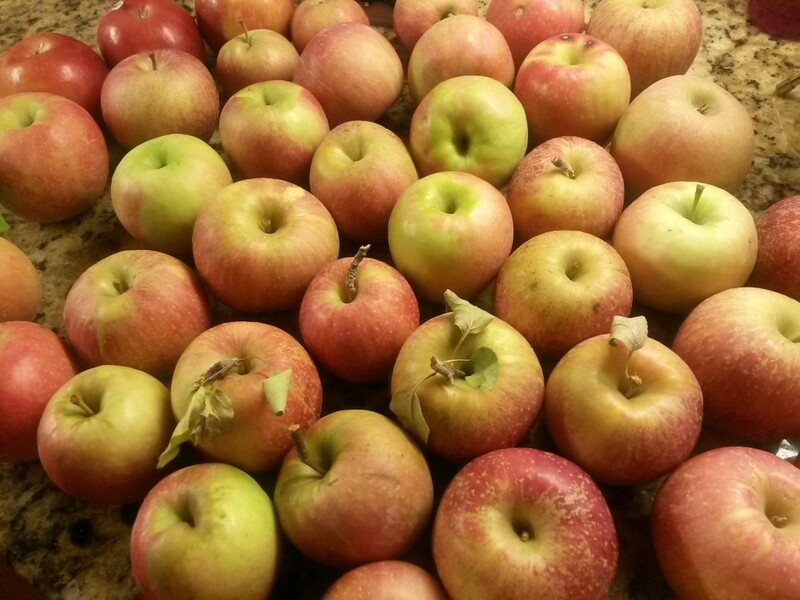 If you read yesterday’s post, you’ll know that we went apple picking over the weekend, and amassed quite a bounty of the delicious fruit. So when we got home, I started looking up recipes and figuring out how I would use all these apples before they went to waste. 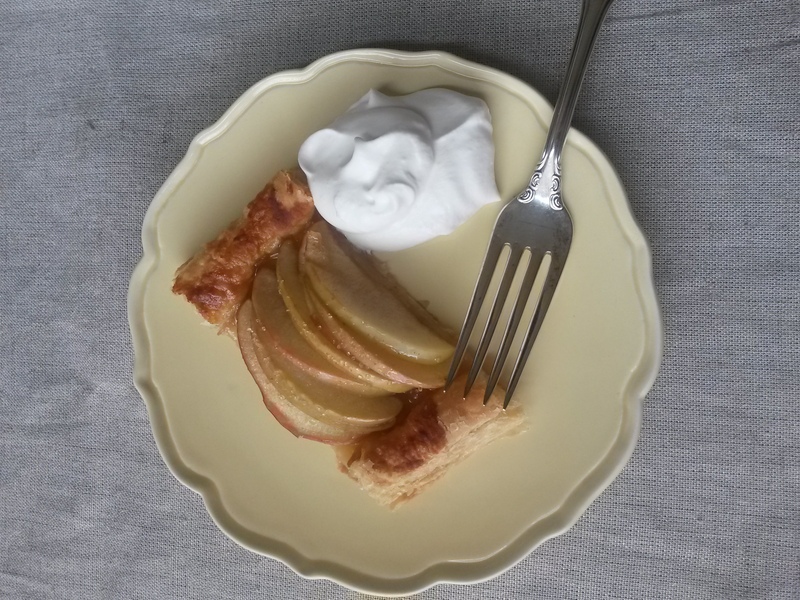 The first recipe I knew I wanted to try was this Simple Apple Tart from the Pioneer Woman. I try her recipes over and over, and have yet to be disappointed. They are usually simple, with familiar ingredients, and man, kid, and foodie-friendly! 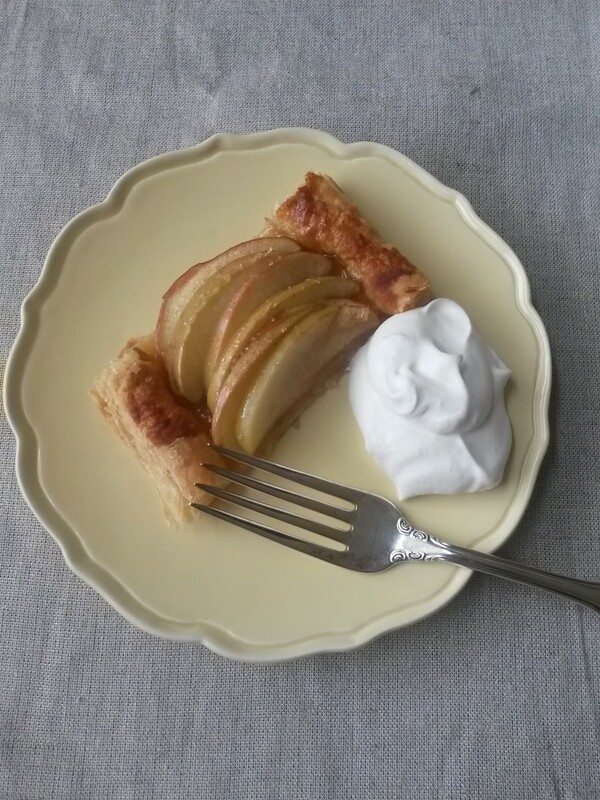 And this Apple Tart was no different! I used Pepperidge Farms Puff Pastry, that comes in a set of two pre-packaged rolls in the box. One roll served as the topping to my Bacon and Mushroom Chicken Pot Pie that I featured here a few weeks ago, and the other roll, I cut into two (longways), and made two apple tarts on one big baking sheet. One tart makes about 4 decent size servings, so depending on your appetite, you may want to make them both for your occasion, or make one to eat and one to give to a friend (Brantley took our second one into school for her teacher yesterday morning, despite my temptation to keep it and eat every bit of it by myself )! It’s beautiful, delicious, and truly maintains the integrity of the fruit of the season. The flavor of the apple is not masked in tons of unnecessary ingredients, but only those that just heighten its appeal. Pre-heat your oven to 415 degrees. Spray a large baking sheet with non-stick spray. Cut your puff pastry in half, longways, and lay both pieces on the sheet. 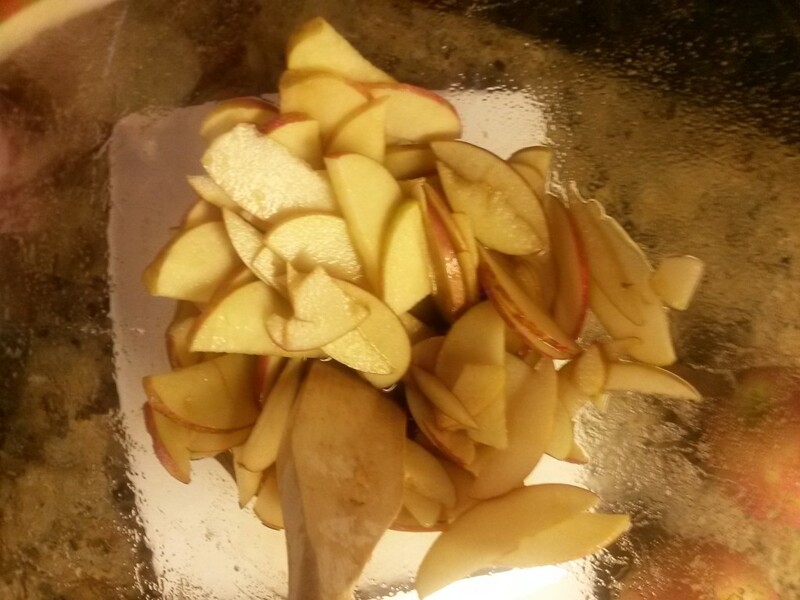 Core and thinly slice your apples, put them in a large bowl. 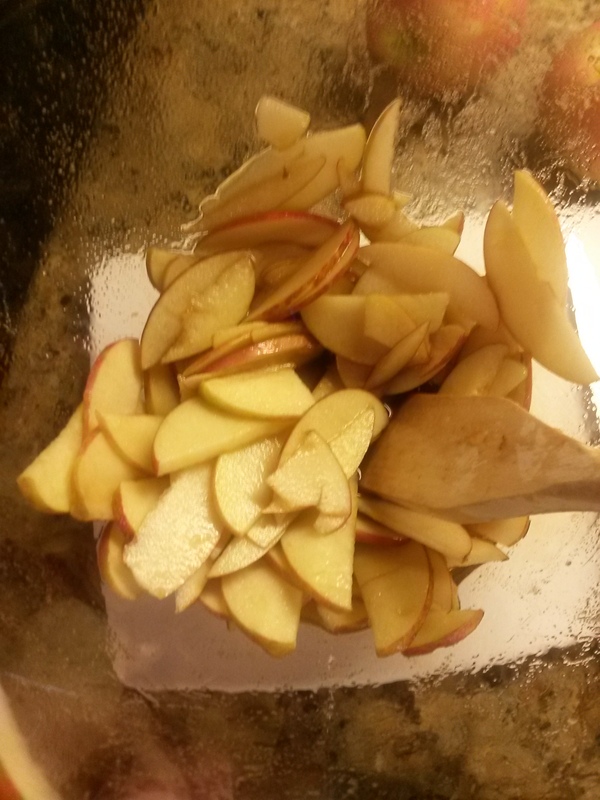 Sprinkle the apples with lemon juice, salt, and the brown sugar, and mix well to combine. Let the apples sit for a few minutes to really get acquainted with the salt and sugar, which will create a light sauce. 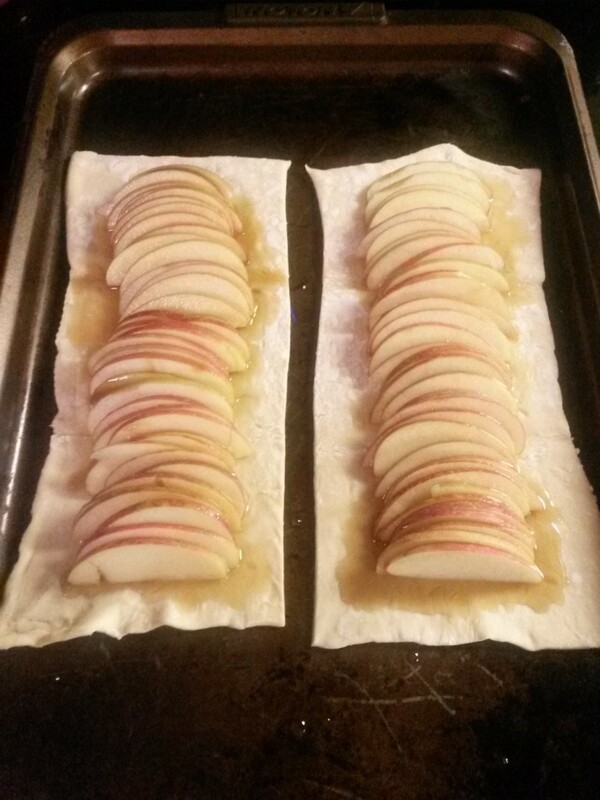 Place your apples down the center of the puff pastry, slightly overlapping each, leaving a small border along the edges (where the pastry will rise). 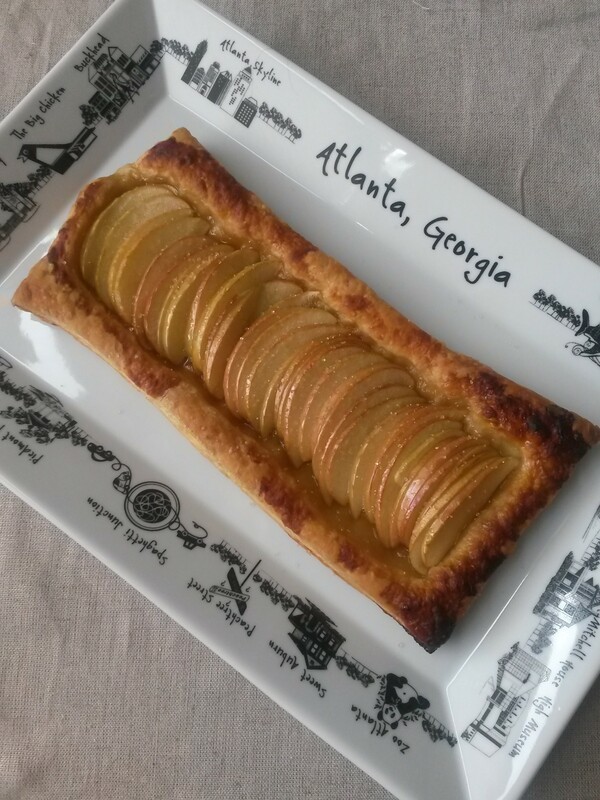 Get as many apples on each pastry as you can. Once all the apples are on the pastry (or as many are on as you can fit), pour a little bit of the remaining sauce over the top of the apples. Bake for about 18 minutes, until the pastry has risen, and is golden brown. If the pastry starts to brown to quickly or burn before the time is up, cover the pastry edges with some foil (i had to do this with about 2 minutes remaining). Take the pastry out of the oven, and serve hot! Top with sifted powdered sugar, or vanilla ice cream, or whipped cream. ENJOY!!! I hope you will try this recipe and let me know what you think! And thanks, Ree, for such a great recipe!